I’ve not posted in ages, and I realise you have all been pining for my pearls of wisdom. Or not. On this gorgeous Saturday, when I should be out in the garden seeing to my fruit & veg patch that is going wild (mainly with weeds), I am instead, lying on the sofa with a sprained ankle or irritated tendon. Or both. And so, I may as well take the time to give you and update on what’s been happening with Man Food. To date, we’ve been attending farmer’s markets at Ely and St Ives in Cambridgeshire, and the nice thing is that we’re getting a core loyal following, as well as new sales each time. But let’s rewind a little, to just summarise some of the things that needed to happen before there was a product in a pot. I’m not going to lecture you on how to start up a business etc: there are people who do that, and there are people who’ve written books on the subject, as well as other ‘must have’ topics. I just want to outline a brief (hopefully) description of my own experience. 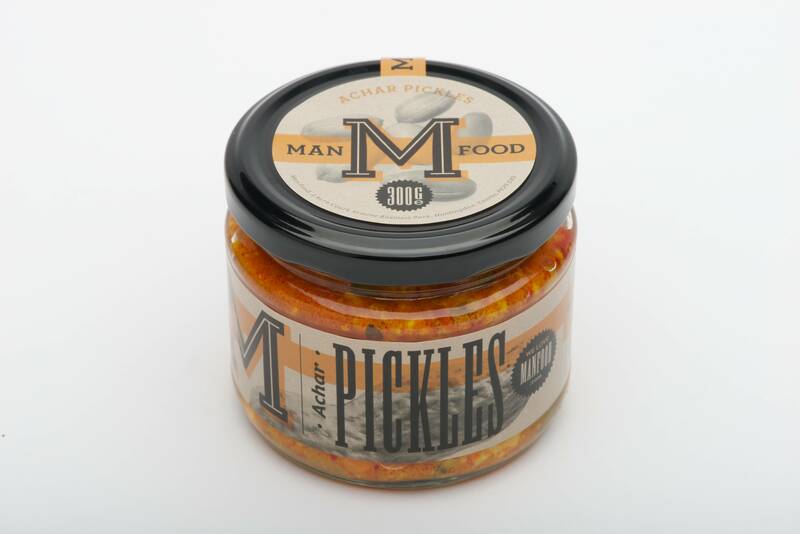 We started out with one initial product (Piccalilli), and from there I came up with a collective concept – Man Food. Basically a group of foods targeted specifically at men. I was inspired by my own (and my family’s behaviour): from my experience, when men come home, they raid the cupboards and fridge looking for snacks or something to munch. They want instant gratification. I can’t tell you the number of times I recall my mother telling my dad off for raiding the cupboards, when she was just about to start making dinner. 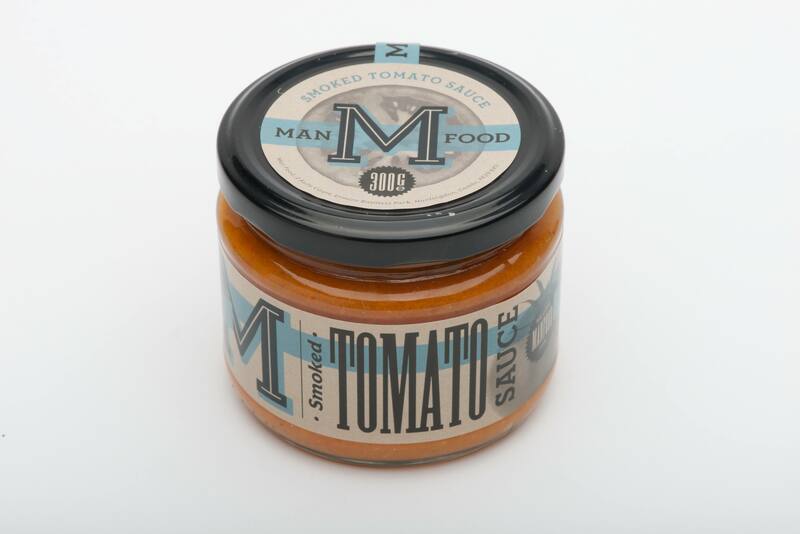 And so the name and idea of Man Food came into being, based on my experience of how the men and women in my family eat/ approach food. With a name and concept, the search was on for other products to add. At this point, I need to talk about numbers (sort of). If you decide to sell fresh/ chilled foods, not only are the environmental health requirements greater (and rightly so, because in theory people are going to consume them as they are), but you as the producer are exposed to greater financial risk, because you are buying ingredients which are deteriorating rapidly over time, so if you make a lot of stock, you NEED to sell it before it goes off. By deciding to go down the ambient route, my plan was that my products would not only have a long shelf life, but in the event of sales being slow, any stock I had would have a decent amount of life, which lowers the risk of wastage. 2 of the 3 other products developed selfishly: I decided to develop things that I’d want to eat, drawing inspiration from my travels, and particularly the trade shows I’d attended in America. The Achar was down to my mother. In Malaysia, this spicy, sweet and sour chilli vegetable pickle is served as a side dish. One weekend, she had sent me home with some. Not having any spare tupperware (which for an Asian mum is actually hilarious), she decanted my portion into an empty jar. I took it home, forgot about it for a week, but then tasted it again and decided that maybe it could go through a conventional pickling process. Currently, the range is being shelf life tested. Being vinegar based, I’m expecting a minimum of 12 months, but only proper microbial lab analysis will determine this. In the meantime, having consulted with my local environmental health office, we’ve agreed a 6 month life based on initial test results. So, I’d developed the products and costed them out (one word on this: Excel), registered myself as a food business with the local environmental health office, started producing trial batches (which allowed me to scale up my recipes and see if they worked with larger volumes), sent some off to a lab to begin shelf life testing..the next bit was the fun part: the labels. Packaging is hugely important. It’s what draws the customer to the product, and what makes it stand out on the shelf. Even if the contents are rubbish, people will buy a product at least once if it looks good. Obviously though, in an ideal world, the contents would be just as wonderful as how it looks. I got into a minor disagreement with some people on twitter about designing packaging. One of them was promoting their book on the subject, while the other had just purchased said book. At the time I said that nobody needed a book – it was just common sense. But on reflection, I was being very blasé: it’s common sense to me, because I’ve been a commercial food buyer. It was my job to spot trends and select products. The average person may find it slightly daunting. My key piece of advice would be, if you can afford it, get a professional. There’s lots of talent out there, and in this digital age, you don’t even have to rely on someone in the UK. Websites like People Per Hour will actually allow you to post jobs and have people bid. Do bear in mind though that sometimes, you do get what you pay for. In my case, I selected a designer based on examples of his work that I had happened to see on the internet. Nick Misani is a very talented young man (I say young, I’ve never met him in person), and I liked his use of typography. And here’s the thing – choose someone whose work you have seen, and whose style you like. It makes it a lot easier in the briefing process. Briefing Nick involved explaining to him what my products were, how they came, the size of jar and what information was required on the label. This is actually really important, because there are a number of things that have to be present on a label in the Uk by law. A good list is here. This can then have a knock on effect on the design, because you’ve got to have room for everything. Nick developed my design, based on a specific look and feel that I wanted. I provided him with a mood board of images that I liked: I wanted something that wouldn’t date too much, and had a slight nod to retro Americana. I hope you’ll agree that he’s done a truly amazing job. Hi Andre, I really like the idea of your new food line especially the Achar which will be great for barbecues can I only buy them at the stalls ?